In India, the word Panchayati Raj means Rural Self-Governance System. It has been established by the State Legislatures for the creation of democracy at the grassroots level in all the states of India. In this article these10 questions related to Panchayati Raj areexplained with answers. We hope that this set of quiz will be helpful for all the competitive exams. Nirbhay missile was successfully test fired by DRDO (Defence Research and Development organisation) from an Integrated Test Range (ITR) on Abdul Kalam Island off Odisha's Chandipur coast. The last successful trial of 'Nirbhay' cruise missile was conducted on 7 November, 2017. Do you know about Nirbhay missile, trials done till now etc.? Let us study some interesting facts about it through this article. 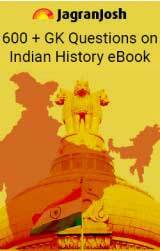 The Anglo-Indian term was defined in the Government of India Act, 1935. According to this, "a person whose father or any of his male ancestors in the male line is or is of European descent but who is a native of India." Every year on 21st April "Civil Service Day" is observed. On this day civil servants re-dedicate themselves to work and live for the cause of citizens. Also, they renew their commitment to public service. But do you know why only 21 April is chosen for the celebration of National Civil Service Day. Let us study through this article. 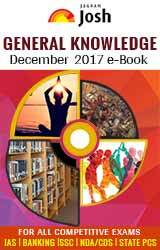 The General knowledge section of jagranjosh.com aims to provide detailed as well concise information to all the aspirants of competitive exams like IAS/PCS/SSC/CDS/ Banking etc. As a number one education portal in the pan India, Jagran josh provides appropriate content like detailed General knowledge with GK Questions/GK Quiz based on different subjects like history of India, geography, polity, economics, science & Tech, art & culture of India and the world. The best part of our content is that it is made by prominent writers and fully authentic content is available to all the aspirants on the single click of our GK section. 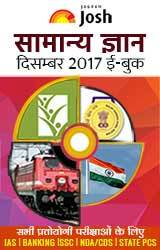 General Knowledge Quiz/ Generla Knowledge questions with answers based on latest syllabus of all competitive exams. If any aspirant have gone through our GK content and want to check that whether he/she is ready to crack any pre-mentioned exam then he/she can click on our GK QuizSection to solve the combination of tough & easy gk Quiz on all the subjects of the general knowledge. 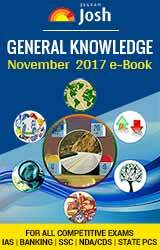 General Knowledge List: This category caters not only to competition aspirants but also very useful for general readers. Gk Facts: This category contains the research based content on general knowledge from various fields like mythology, Science, Defence etc. The added advantage of our General Knowledge section is that we published the GK content in hindi and English. Let’s start taking advantage of dynamic & authentic gk content to enhance your general knowledge.